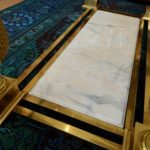 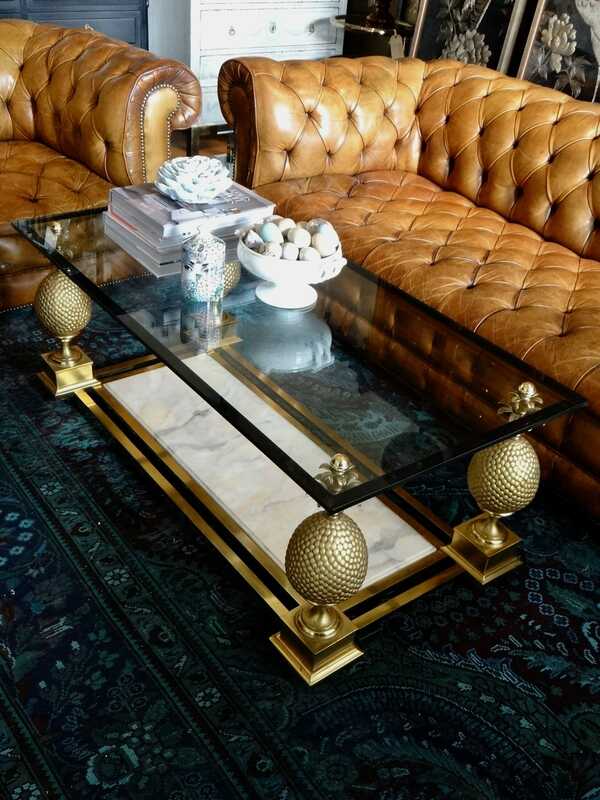 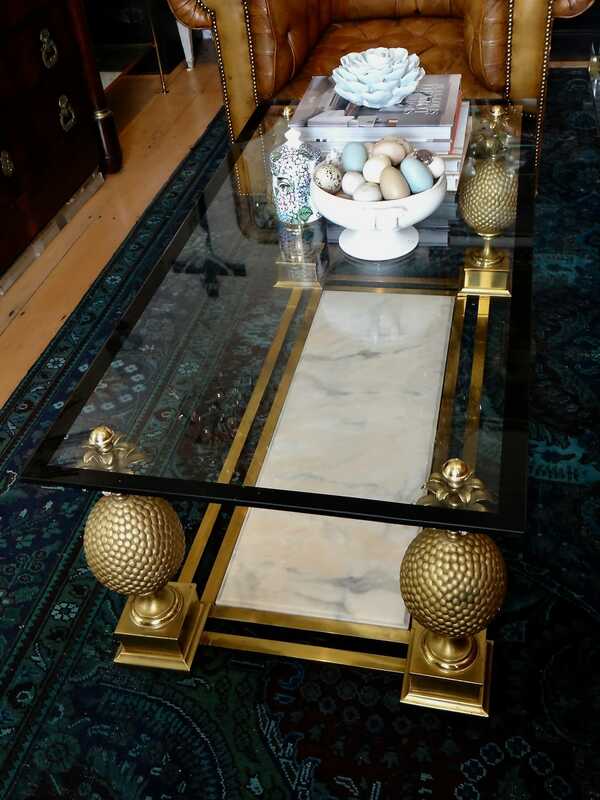 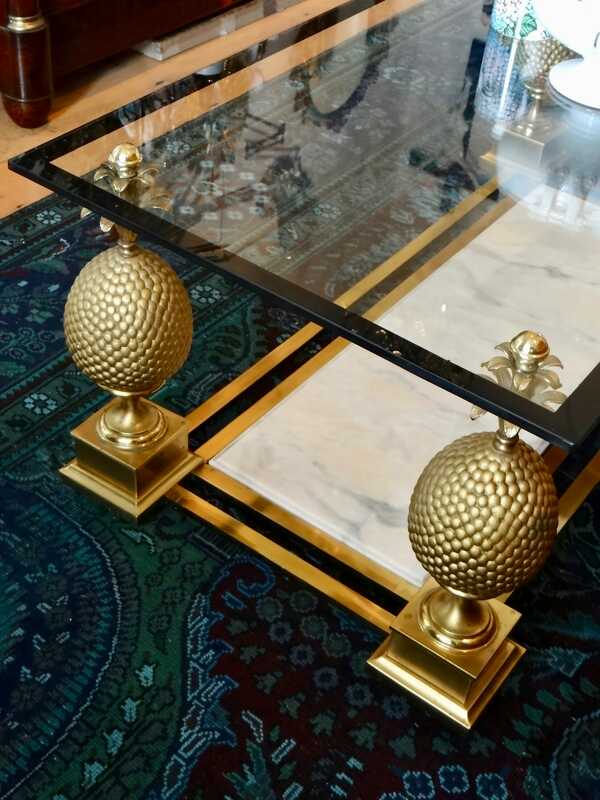 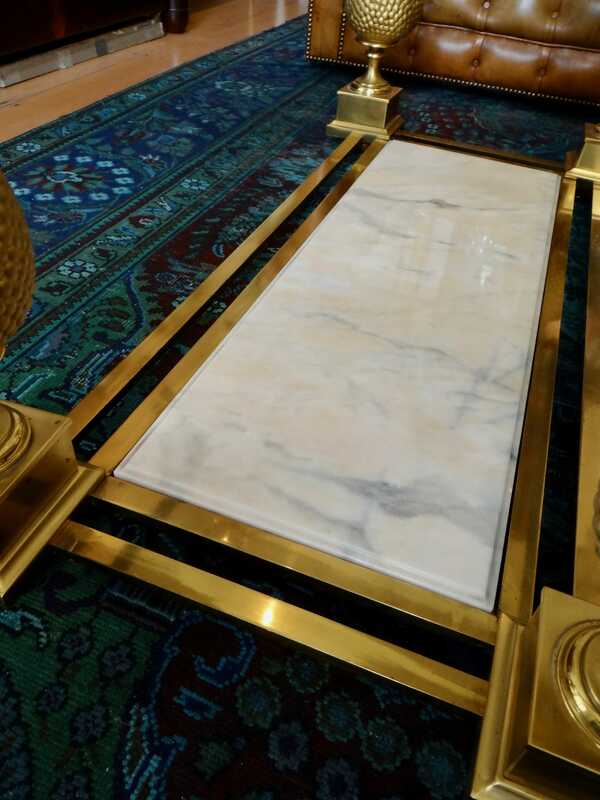 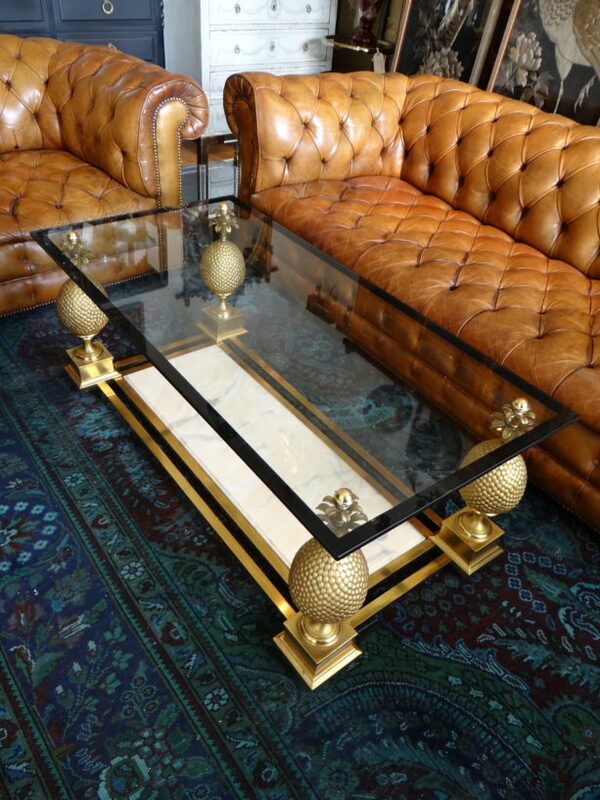 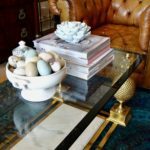 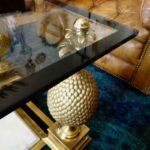 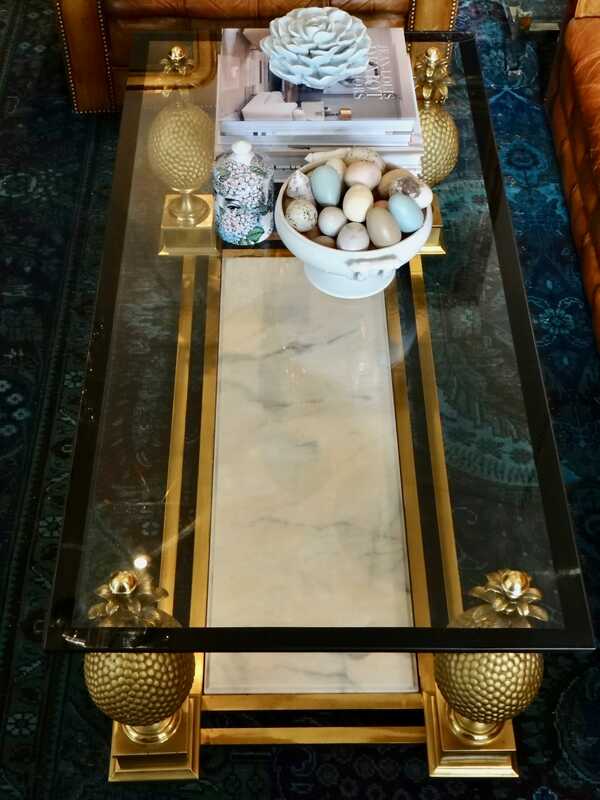 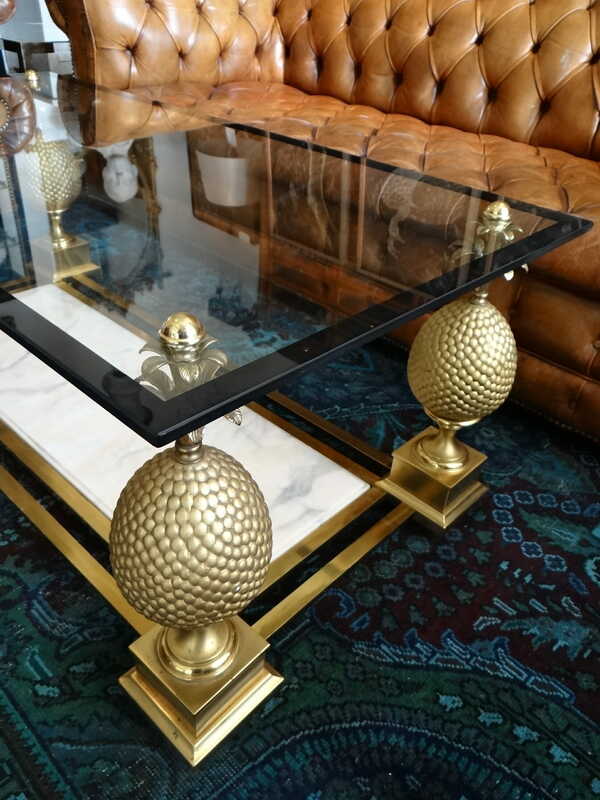 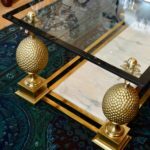 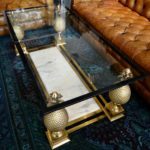 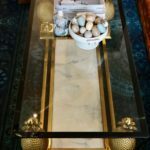 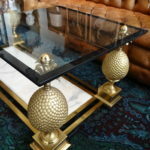 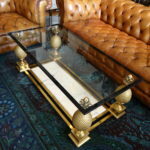 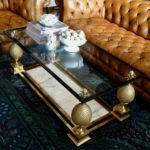 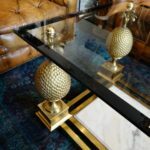 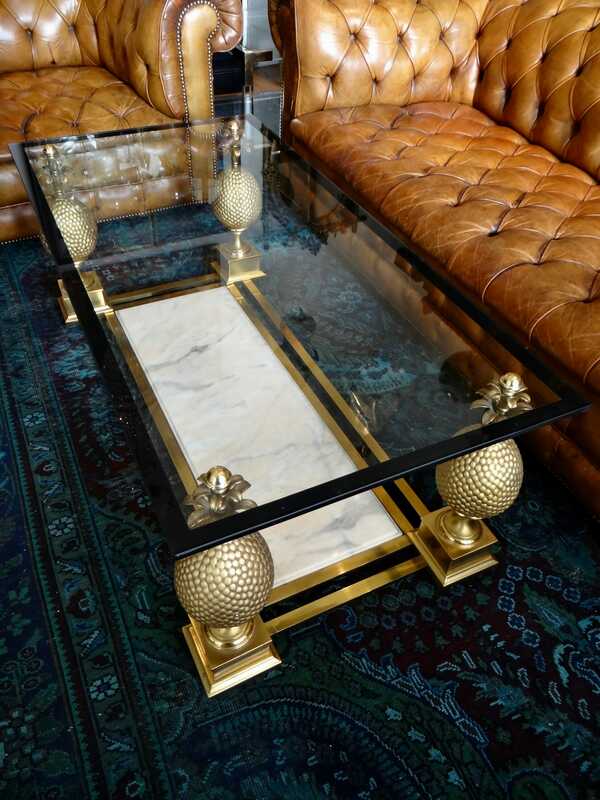 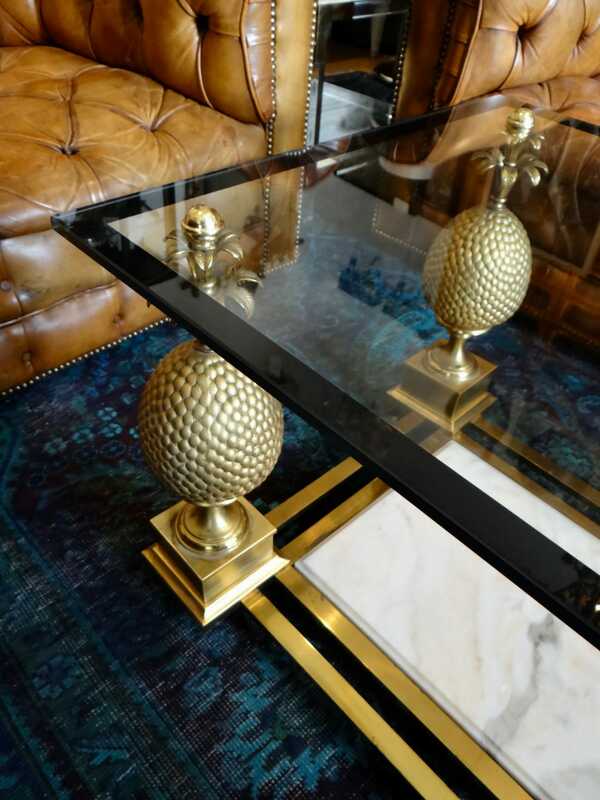 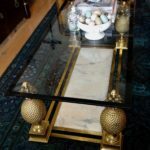 A real statement Hollywood Regency coffee table in glass and brass with a white marble base. 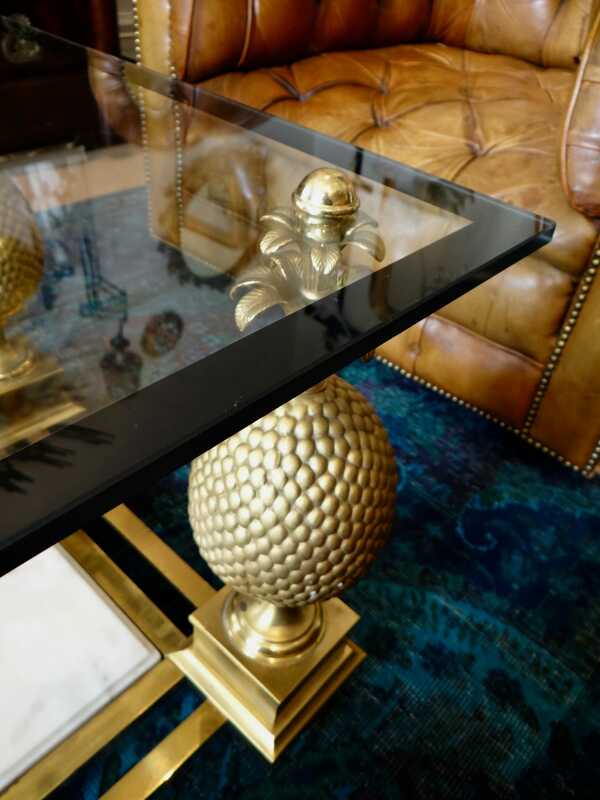 Christopher Columbus discovered the pineapple on a Carribean island in 1493 and then introduced it to England. 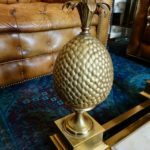 This rare fruit was then often used at banquets as a sign of wealth. 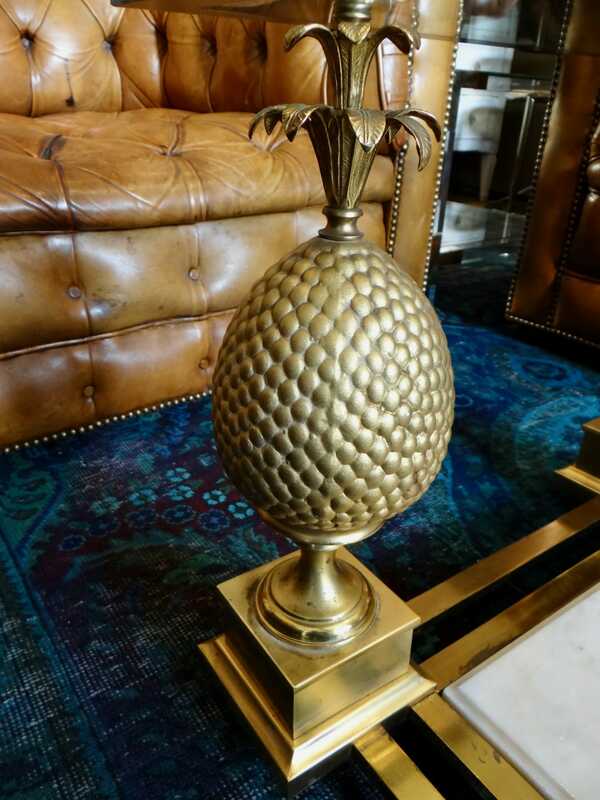 The unique shape of the pineapple lead it to be used in architecture and design. 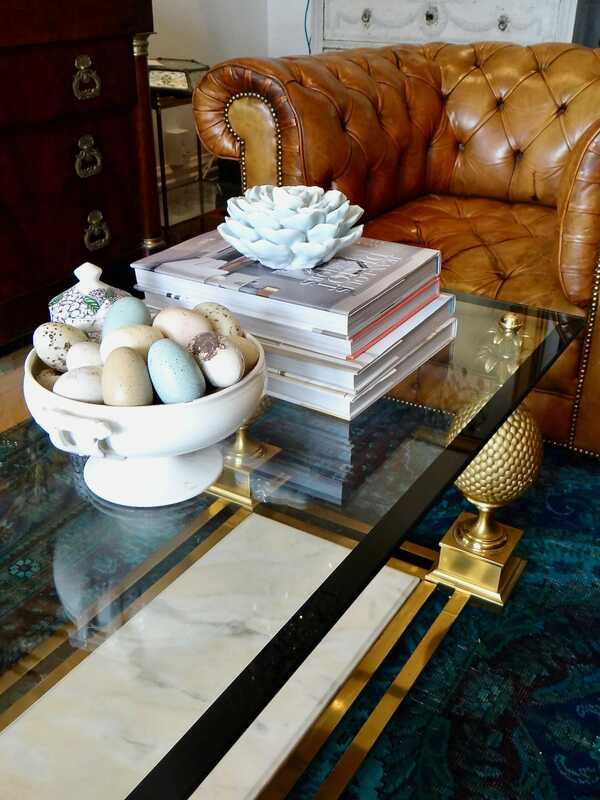 Pictured with English vintage leather chesterfield and Vintage English leather button back arm chair.